These little guys are important to us. They may be our greatest teachers when it comes to remembering how to have fun without too much self-consciousness. And they are generally better than anybody at taking in the love that comes to them. So we make lots of space for them in our community, and in the worship space. We offer Sunday School for children 5 years old through 6th Grade on Sunday mornings during our 10:00 a.m. worship service. 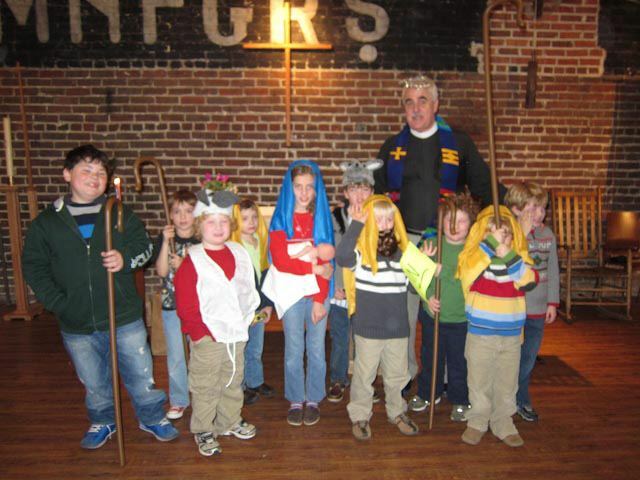 We use the Catechesis of the Good Shepherd curriculum; a program which recognizes the spiritual power of children and gives them opportunities to learn, reflect, and be creative. Visitors are welcome. We also offer nursery care for infants and toddlers during the Sunday morning service.